The Victoria Theatre and Concert Hall were built as two separate buildings 43 years apart. Victoria Theatre was the first to be constructed between 1866 and 1862, and served originally as the Town Hall. The two-storey building housed municipal offices on the lower floor, and a social hall on the upper level. Adjacent to the theatre is the Concert Hall, formerly known as the Victoria Memorial hall in honour of Queen Victoria who passed away in 1901. It was built between 1903 and 1905 using public funds raised by the colonial government. In the same year, a 54m clock tower was erected to join the two buildings. In 1942 the memorial hall served as a hospital shortly before the fall of Singapore. It was also there that war crime trials were held following Japan’s surrender. In the years leading to independence, the halls were used for public meetings such as a review the Constitution of the Colony of Singapore, and later for the inaugural meeting of the People’s Action Party. Singapore’s pilot television broadcasting service, Television Singapura, was launched there on 15 February 1963. After several rounds of extensive renovations, the Victoria Memorial Hall was renamed Victoria Concert Hall in 1980. It became home to the newly formed Singapore Symphony Orchestra (SSO), of which acclaimed violinist and 2006 Cultural Medallion recipient Lynnette Seah is a founding member. The SSO is a full-time professional orchestra that has gained worldwide recognition. 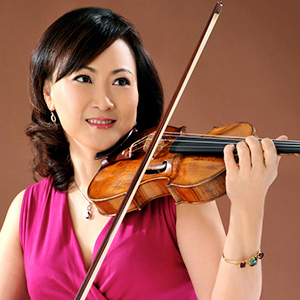 Lynette serves as its co-concertmaster and the leader of the 1st violin section. 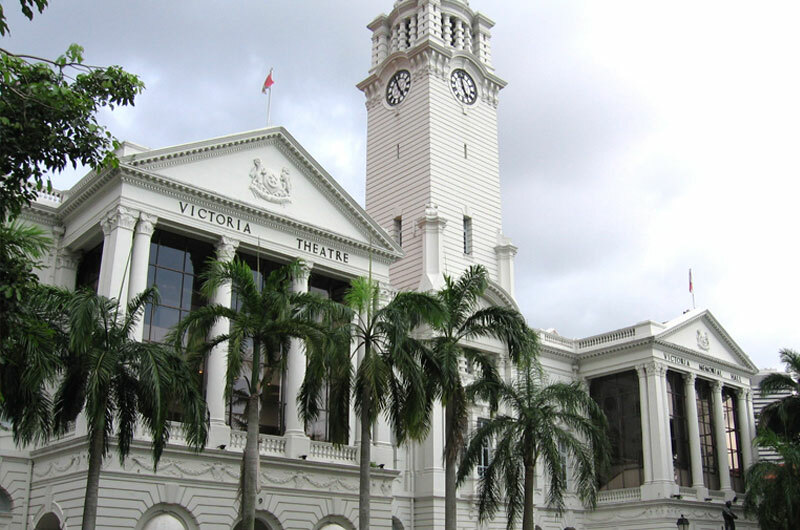 The Victoria Theatre and Concert Hall was gazetted as national monument in 1992. From 2010 to 2014, it underwent another major facelift that cost $158 million. It was reopened on 15 July 2014 with a performance by the SSO to celebrate the occasion.